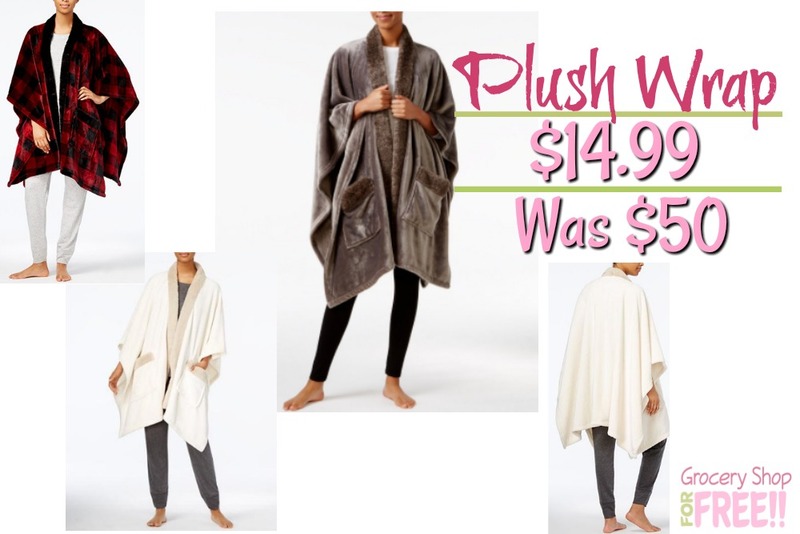 Cozy Plush Wrap Just $14.99! Down From $50! You are here: Home / Great Deals / Christmas Deals / Cozy Plush Wrap Just $14.99! Down From $50! This is too cute and quick and easy for a wrap to throw on to walk out the door for a few minutes or to go meet someone! Plus, what a great gift this would make! You can get this cute Plush Wrap right now for just $14.99 – it was $50 at Macy’s! This deal is only good TODAY – so JUMP ON IT! You can choose FREE in-store pickup or it ships :fr; with orders of $49 or more. At home or on the go, bring stylish warmth with you wherever you go with the super-soft plush and cozy wearable design of this wrap throw from Charter Club.